Now that the Thanksgiving holidays are over, I finally feel like I can jump into Christmas. No, the tree is not up, nor is there a wreath on the door but I can start making things with more of a Christmas theme which I love (mostly because it is an excuse to use glitter). 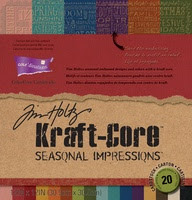 So I am kicking off the week by using Core'dinations Seasonal Impressions cardstock to create a Christmas card. Each 12" x 12" embossed cardstock pack includes 20 sheets total, with the following holidays: Valentine, Christmas, Halloween, Fall, Spring and 4th of July. As you might imagine, I am using the paper with the Christmas words. Each paper has a boarder surrounding the words as you can see in the top of the picture. I cut off one side of the boarder and sanded it a bit to reveal the kraft paper below. Then I used my ink blending tool, to ink the raised portion just a bit with Bundle Sage. Next I decided to give it a little shimmer with Perfect Pearls - Heirloom Gold. 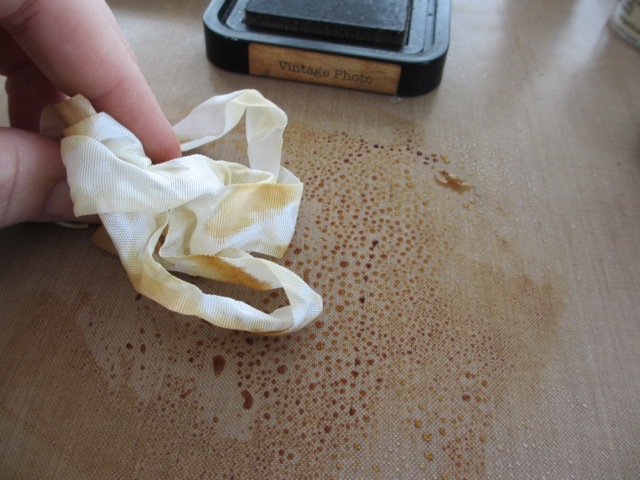 I just added a bit of water and Perfect Pearls to the craft mat. 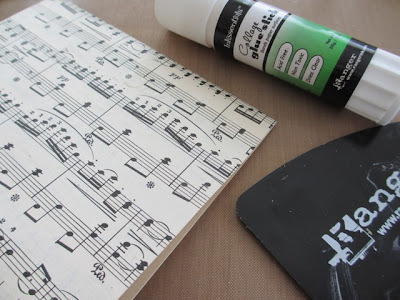 Give it a quick stir and you are ready to paint. A little goes a long way. 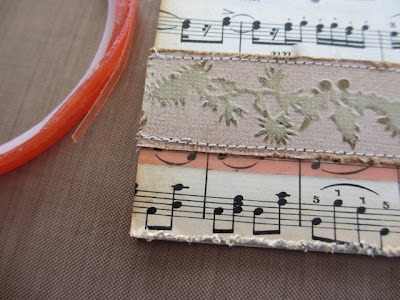 Next, I edged the band with Vintage Photo Distress Ink then set it aside while I created the card base. For the card base I cut Ranger manila cardstock 5 x 8 1/2", then folded it in half to get a card 5 x 4 1/4". I used a collage glue stick to cover the front of the card with vintage music. Vintage Photo Distress ink on the edges. 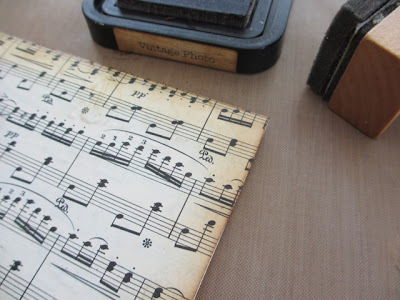 I cut the band to fit the card front, then distressed the edge with my Tonic paper distresser tool (love that little thing). Back it with 1/2" wide Wonder Tape and adhere it to the card. I stitched the band to the card front with my sewing machine. 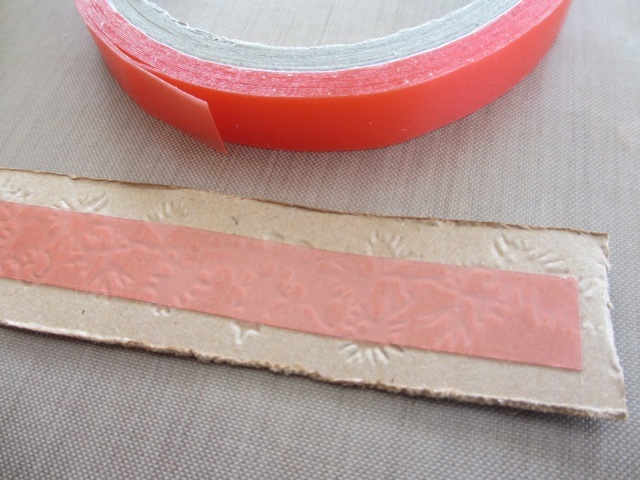 Then added 1/8" Wonder Tape (love this skinny size red line tape) below the embossed band to add some crocheted trim. The crochet trim was very delicate so I didn't really want to sew in place. 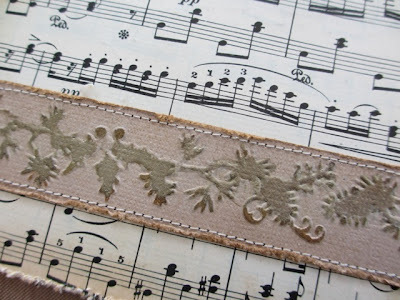 The narrow Wonder Tape was the perfect solution to avoid sewing. 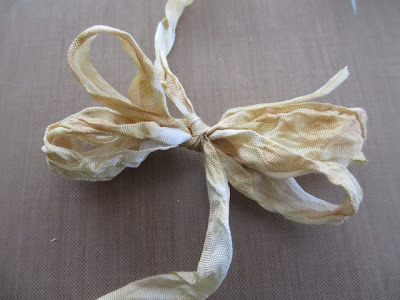 I wanted to use Crinkle ribbon but I just wanted it to look aged not dyed so I put some Vintage Photo Distress Ink on my craft sheet and sprayed it with water from a Mini Mister. Perfect...just enough to age the Crinkle ribbon. 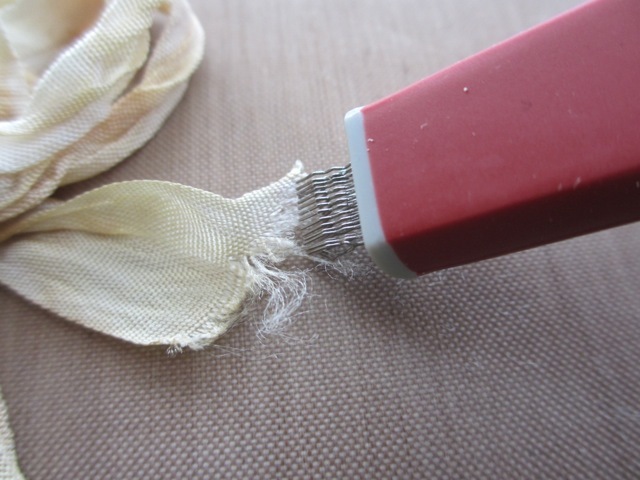 Dry with Heat Tool. Then tied it in the center with another piece of ribbon. I clipped the ends to size then used the Tonic Scratch tool to fray the ends. Just a couple more elements and then I can put it all together. 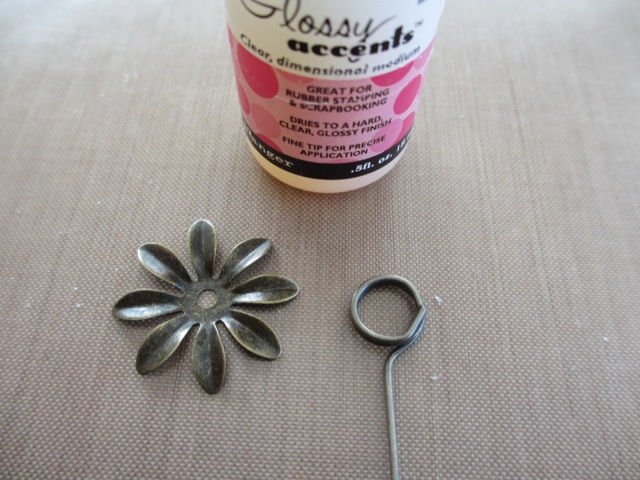 For this one I used a Memo pin, Glossy Accents and flower from the Idea-ology Foliage set. NOTE: The Idea-ology brand also has Festive Foliage that is a poinsettia shaped flower. I did not have this one in my stash but I suspect the card may look more "christmas-ie" if that was used. 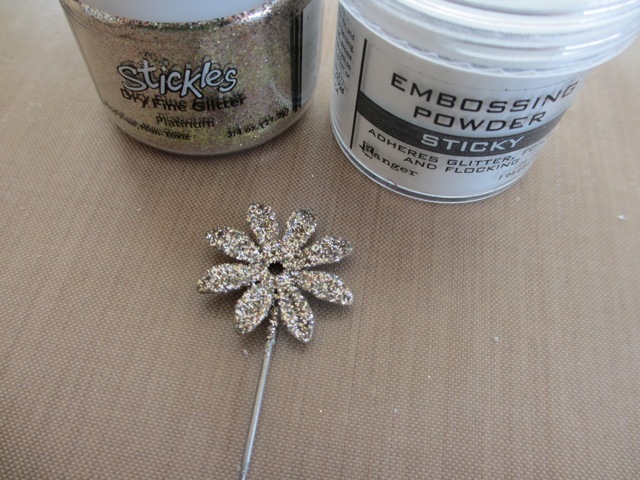 Use the same method I used here to add glitter with sticky embossing powder. 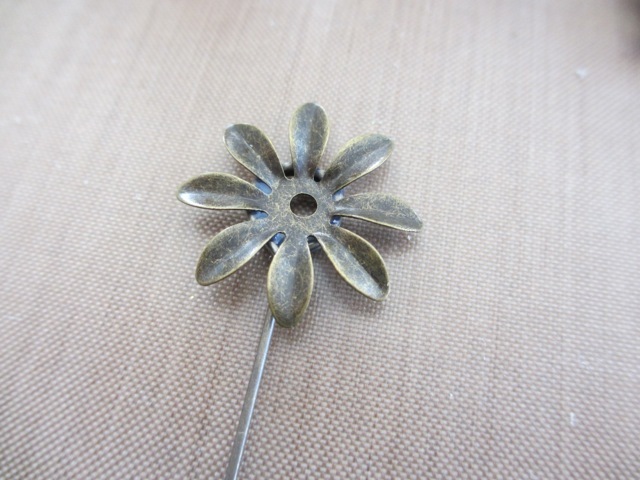 I like to give it an extra little heat with the Heat tool after the glitter is on the metal flower. It seems to almost embed the glitter onto the metal flower. I added another part of the Foliage set and a vintage pearl to the flower with Glossy Accents. 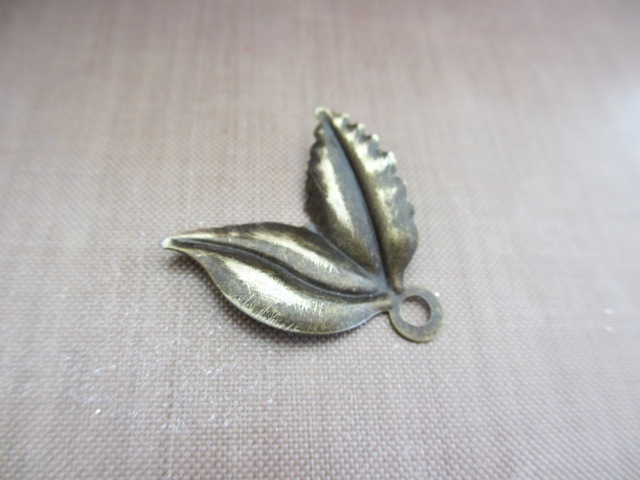 I sanded a leaf from the same set and bent it just a bit. 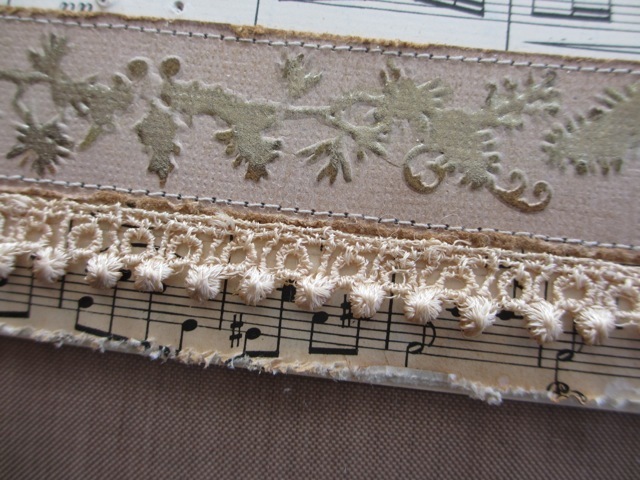 I put all the pieces together on the card and then decided it needed a bit more of what I like...detail. 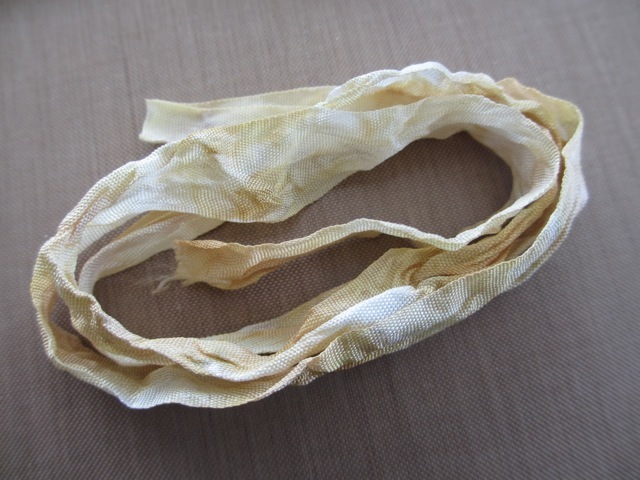 I cut a long piece of dyed cheese cloth and tied it around the flower pin. Then took a leftover piece of a small Tattered Banner (seriously, it was a torn off scrap on my desk), wrapped it around a big pearl corsage pin and stuck it under the band just like I had done with the flower pin. 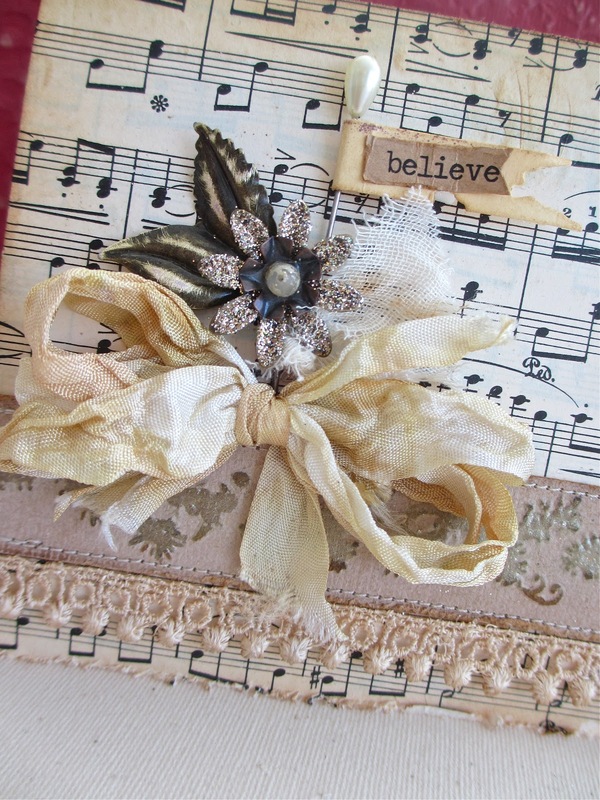 I clipped a dovetail in the chitchat word "believe" and stuck it to the tattered banner. The word is only stuck down on the left side so it is almost like a double flag. I did add 1/2 of a pop-it dot under the tattered banner to keep it in place. Super pleased how this turned out. I will say the Perfect Pearls was the needed touch to the pine garland. Super shiny in the evening light. A great touch with just a couple minutes work. vintage with lots of detail. Wonderful. Love all the details. Oh my little goodness! Fabulous! I love how you altered the metal flowers...and the embossed border is truly fantastic. Thank you so much for sharing! Are you volunteering to make all my Christmas cards for me?? Lol! Beautiful card! Gorgeous! Would you like me address now so that it can be mailed in plenty of time before the holiday arrives? Seriously, that is so gosh-darned pretty! And thanks for the mini tutorial on how it all came together. thanks Susan...I appreciate it as I am not much of a card maker...I say that every year and yet I still attempt it. Paula, this is SO gorgeous and such a perfect example of your fabulous style. You make it look so easy! 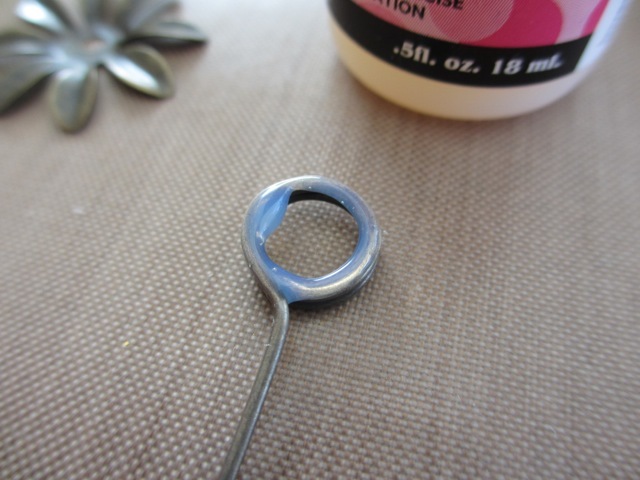 S.T.U.N.N.I.N.G…I also want to reiterate that the Sticky Embossing Powder actually works very well. Oh so beautiful. You always make things look so easy peasy. Thanks again for the inspiration. Love, love, love! This is Paula, being 'Paula'. I take that as a wonderful complement...I don't know what it is about Christmas that I fall back into this color scheme...I think it's that Platinum glitter. Gorgeous card!!!! You do such awesome work!!!! Paula, you never cease to amaze and inspire me. This card is simply wonderful. I just love it. I just bought that paper pack so thanks for the inspiration! Really like this card! Christmas is mid summer here in NZ, so the trad snow etc doesn't work so well. This is so elegant!! Beautiful card! Now I need to get some sticky embossing powder! Love the card and all the different techniques you used! Beautiful! 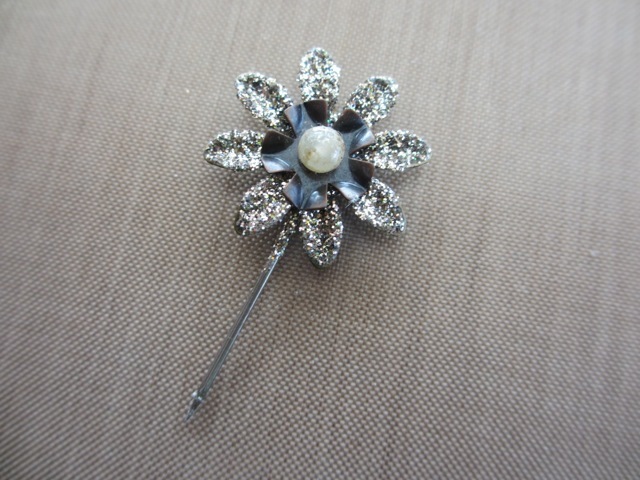 Very pretty and great vintage look, love the memo pin. Thanks for the inspiration and sharing your techniques--this is such a beautiful card! Thanks for showing some many how-tos in this little post. So pretty. Love this!! So pretty. You are just awesome.